but how close are they? I gather you are referring to Cromwell's Drogheda mortuary. 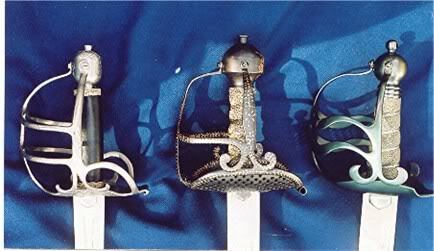 Armour Class does the best reproduction of the original. I have the Hanwei , they did a very nice job,only the basket is more of a bronze hue than black. 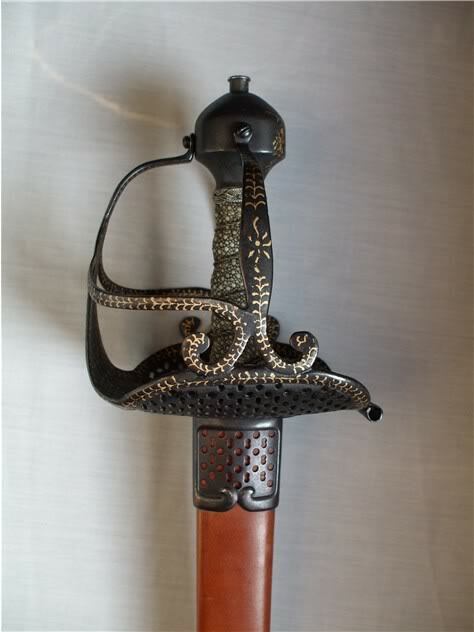 The original was black japanned / or lacquered with painted / gold leaf / inlay markings. 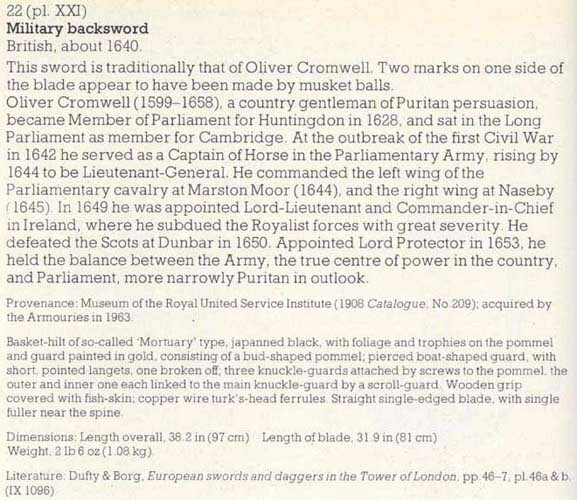 I also have photos of Cromwell's other swords from my research visit to the Cromwell Museum in Huntingdon a couple years back. 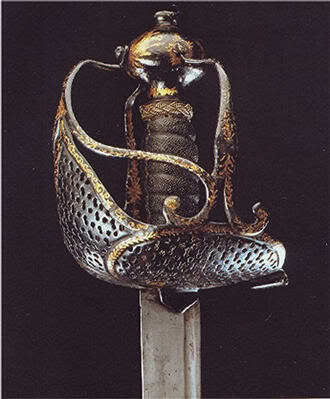 There is a full length color photo in Harvey Withers' The Illustrated Encyclopedia of Swords & Sabers. My scanner is not the best, but here is the photo from Harvey J.S. Withers' The Illustrated Encyclopedia of words & Sabers. I hope it is of interest. I had to reduce their size and quality to post them.